08 May 2017 / 17:46 H.
KUALA LUMPUR: A whopping haul of Pangolin scales worth RM9.12 million and weighing 712kg was seized at the Kuala Lumpur International Airport's (KLIA) Customs Department in what is considered the country’s largest haul of the scales to date. The scales were smuggled into Malaysia via Congo and Ghana. Displaying the seized items at the Malaysian Customs Cargo Complex, its enforcement director Datuk Paddy Abd Halim said the seizures were made following a tip-off. On May 2, eight gunny sacks of the scales, weighing 408kg were found. They were believed to be on a flight from Accra, Ghana, which transited in Dubai. Two days later, the remainder of the haul, 10 sacks weighing 304kg, were also found which were flown in from DR Congo, to Nairobi, Kenya, transiting in Dubai before reaching Kuala Lumpur. “We are yet to ascertain if the smuggled scales were meant for the domestic or overseas market. “The delivery address they used was a fake company address in Nilai. So we are not sure, we are still investigating it,” he said. Wildlife Department (Perhilitan) deputy director Rozidan Md Yasin said the scales could fetch anywhere between RM1,000 and RM1,500 per kg in the Malaysian market. “They can fetch a higher price in places like China,” he said. The Pangolin is one of the most trafficked animals on earth. They make up a huge chunk of the entire wildlife black market. Their scales, which are rich in Keratine- the same substance as fingernails- are believed to posses many medicinal qualities such as curing cancer and Malaria although there is no scientific evidence to back that claim up. 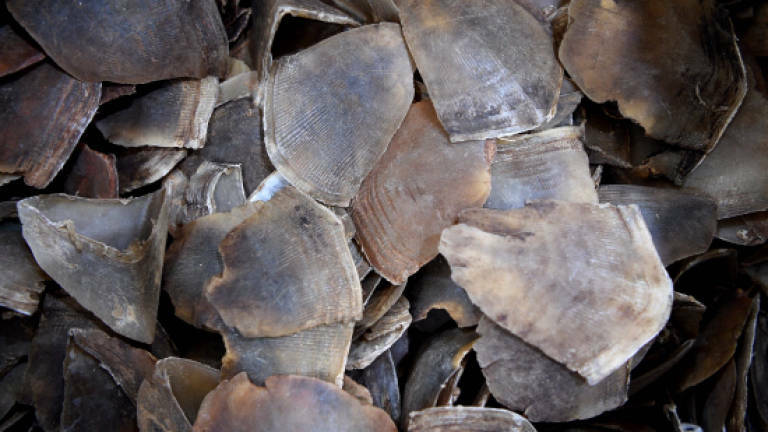 Import of Pangolin scales requires a special permit from Perhilitan. Under Section 135 (1) (a) of the Customs Act 1967, those found guilty of illegally importing it into the country can be fined a maximum of 20 times the value of the smuggled items, or face three years imprisonment, or both. Meanwhile, KLIA Customs director Datuk Hamzah Sundang pledged a handsome cash reward for those who could provide the authorities with valuable information on the smugglers' whereabouts. This is the second time in as many months where a haul of illegal wildlife smuggling ranging in the millions was thwarted, back in April some RM13 million worth of Rhinoceros horns were also seized from KLIA. This was the first time in Malaysian history that Rhino horns were smuggled. 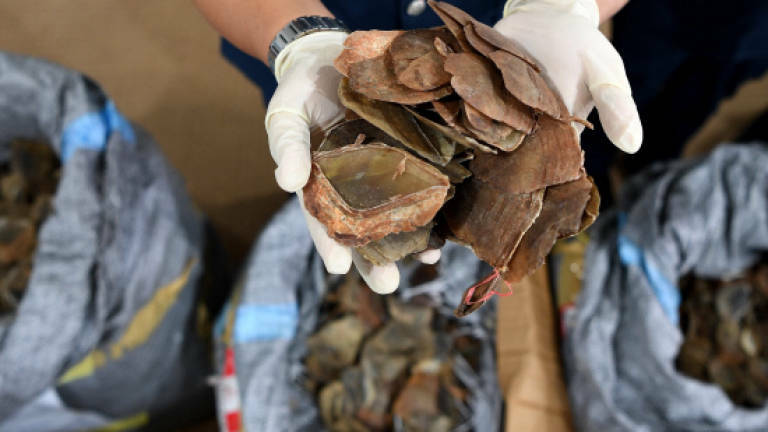 The smugglers had also used the same modus operandi of the Pangolin scales where the delivery destination in Malaysia belonged to a bogus address in Nilai, Negri Sembilan.